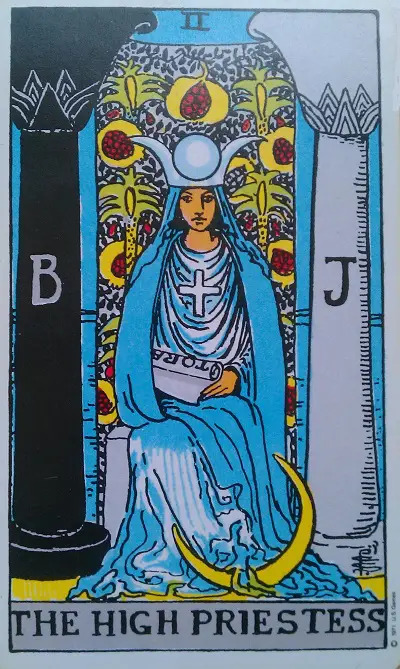 The second teacher of the Major Arcana is The High Priestess. While The Magician has the power to use the forces of the Divine in the material world, it is the job of the High Priestess to mediate between the two. Just as the Moon reflects the Light of the Sun and softens it so we can look at it, The High Priestess channels the spiritual realm to us so that we can understand it. 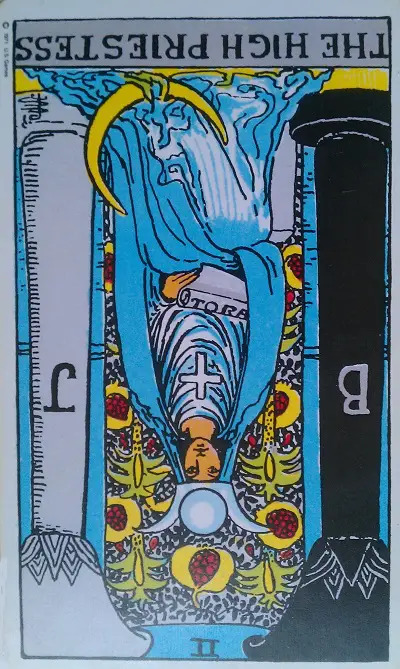 When The High Priestess Tarot card appears, she indicates that you are being called to awaken the inner knowledge that lies deep within your soul. The High Priestess serves Ancient and powerful feminine dieties such as Isis, Diana, and Ishtar. She is our teacher and guide through the mysterious world of intuition and spirit. 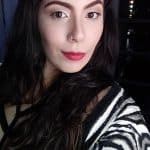 In this article we will talk about the rich symbolism of The High Priestess Tarot card that is found in the Rider-Waite Tarot Deck. We will also look at how to interpret this card in a reading both when upright and reversed. The number of each of Tarot card represents a spiritual principle. The High Priestess Tarot card’s number is 2. 2 represents duality. 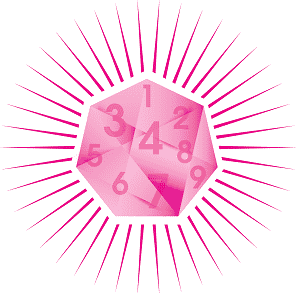 After the initial burst of creativity of the number 1, represented by The Magician, 1 becomes 2. In Sacred Geometry, a point becomes a line. Duality dominates our existence in the material world. There is day and night, Light and Dark, Good and Evil, yin and yang, hard and soft, just to name a few. One of the great mysteries of life is that these dualities are both real and illusory at the same time. The High Priestess is the mistress of this mystery. 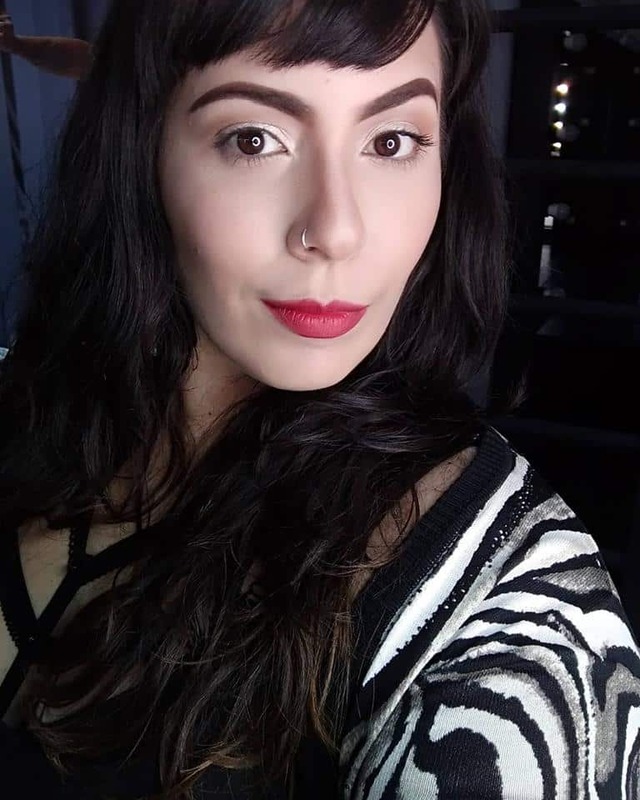 Her job is to balance the material and the spiritual and to maintain the connection between the two. In the High Priestess card, we find a reserved woman of great wisdom dressed in a priestly robe. She is sitting on a throne and placed between two columns. Her calm attitude gives us a scene of impenetrable and majestic feelings. She is the great High Priestess of the temple and keeps the secrets of the sanctuary hidden behind a veil. Behind the curtain, we can catch a glimpse of a vast blue sea. The veil is embroidered with green leaves and pomegranate fruits. The imagery on this card represents both fertility and duality. The images of green leaves and pomegranate fruits represent fertility. Yet, pomegranate has a dual meaning and harkens back to Persephone from Greek mythology. Persephone ate part of a pomegranate while in the underworld, which meant she was trapped there for half of every year. Thus, the pomegranate represents the mystery that death is a part of life. The sea behind the veil represents water, or the All-Possibility. It can be anything, and it is the primary component in all living beings. Water is also the element of our emotions and intuitions. The black and white columns, Boaz and Jachin, are the columns of the Temple of Solomon. These columns are opposing forces in eternal equilibrium. The forces are rigor and mercy, and they fight eternally. Around the neck of The High Priestess is a cross. While the cross has been adopted by Christianity, it is a much more ancient symbol. The cross represents our existence in the material world. The horizontal axis of the cross is the material plane, while the vertical axis is the spiritual one. The vertical axis rises above and falls below the horizontal one. This shows our ability to both rise above or fall below materiality through the choices we make. The head of The High Priestess is covered by a double crown with the Moon resting between two horns. This represents the material and the spiritual world. The High Priestess wears a white dress and a blue veil which covers her head and shoulders. This symbolizes spirituality and sensitivity. On her lap, she holds a Torah scroll that contains the knowledge about the laws of nature. Initiated in self-discovery, The High Priestess welcomes us. She reminds us of the feminine principle of creation, the hidden forces, and the mysteries interwoven beyond appearances. The High Priestess is the gatekeeper to the unconscious. As such, she holds the hidden lessons and superior knowledge that we associate with the world of emotions, intuition and feelings. The Moon reflects the light of the Sun and mediates it. In the same way, The High Priestess mediates the lessons from the Divine. The Moon also has a dark side that always faces away from the earth, and so she never lets us behold all of her beauty. This hidden side is only accessible through imagination. There are many songs, legends, and poems that have been written about it. This is the High Priestess’ invitation; you must go beyond what you see at first glance to learn the truth about the unconscious. When you do so, you will be able to understand your current situation and repressed desires. All of these are hidden behind the veil that The High Priestess is guarding. Everything you need is in your heart so long as you dare to step towards the truth. The High Priestess will only allow you past the veil if you are ready. You must learn lessons that cannot come from any book or rational approach. These lessons can only be learned by direct contact with unconscious secret forces. For this reason, you cannot read the book that the High Priestess has on her knees with your intellect. You must assimilate it with the Heart alone. To understand life and its mysteries, we must first understand who we are and what we want. We must know where we are going and why we want to go there. To fully understand such things, the tools of logic and reason become useless. We need to get in touch with the unconscious, intuitive, and emotional aspects of our personality instead. On a personal level, you must ask yourself some hard questions. Do you trust in your capacity to connect with your feelings? Is it time for you to isolate from others and reconnect with yourself? Are all your actions are moved by logic and reason and are you neglecting your real emotions? The presence of The High Priestess in a tarot spread can point to an unknown change in your life. Things that once seemed real and safe can no longer be taken for granted. Some of the past mysteries have become clearer, but they haven’t been fully revealed at this point. You are developing your intuitive powers as well as your inspiration and creativity. As a result, the High Priestess Tarot card is a particularly good augury for artists. This card calls for reflection. This reflection allows the inner world to become a maternal and creative power. It predicts tender and romantic relationships that may lack expressiveness, but which are still profound and sincere. These relationships may be intense, but they are more mature and discreet. Emotionally, The High Priestess Tarot card calls for a time of solitude in which a person will voluntarily decide to work on their personal development. 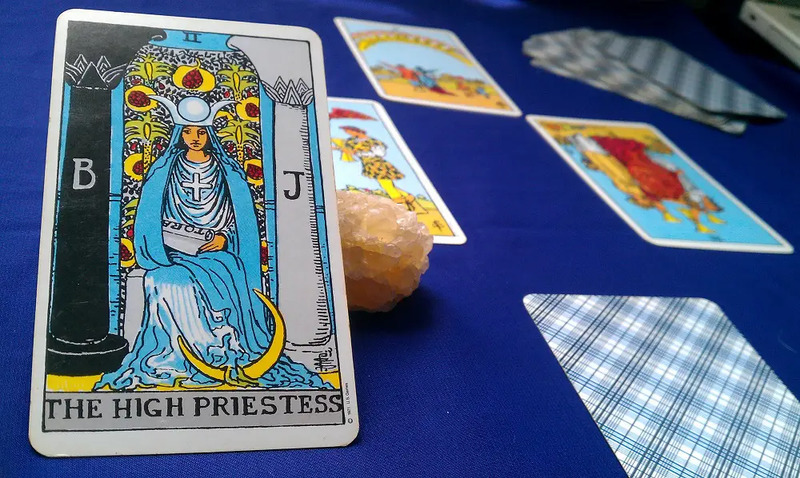 The High Priestess Tarot card is filled with symbols related to fertility, and so it is an excellent card for women who are trying to become pregnant. This card indicates success in work, investments, and objective achievements if you plan and adequately reflect before taking any step. The High Priestess Tarot card can also represent repressed feelings, excessive trust in the opinions of others, or a desperate need for approval and validation. When this card appears, you should work on developing greater confidence through self-love rather than external sources. The secret nature of the High Priestess can become problematic when it is in the reversed position. This is because it shows that gossiping, hidden intentions, and deceptions may be affecting your progress. The High Priestess Tarot card symbolizes purity and virtue. She is a mother with the ability to see the future, and the owner of all the knowledge on earth. The High Priestess suggests that you have good judgment and keen intuition. She may also be indicating that reason must take second place to intuition at this time. Your head must rely on the wisdom of your heart. Intuition reveals what is hidden from your senses. Therefore, The High Priestess Tarot card can also be a warning of secrets that are coming to light. The High Priestess Tarot Card is a very positive card for students during exams or for those who are going through a judicial process. This is because when she appears, the truth will be known. The High Priestess is a woman who knows how to keep confidences and secrets. She teaches us the importance of prudence and discretion. Look for support and advice in the maternal. The High Priestess is also a lonely woman. If you are single, this card urges you to go through a season of personal rediscovery. During this time, you need to stay out of new relationships. The High Priestess Tarot card, when reversed, could mean that you are ignoring the messages of your intuition. It could also mean that you have gone through a time with a lot of exposure to dangers and gossip. This is time to retreat, reflect, and contact your inner voice. If this card appears reversed in a tarot spread, it may indicate that it is time to look for more profound spiritual knowledge. It can also suggest that you have been trying to ignore something that deep down you know to be true. You may struggling to guess the thoughts of other people. It is important to open yourself to be able to express your intentions and feelings. The depth of The High Priestess can turn into superficiality, and patience can turn into laziness. You may feel useless and that you are wasting your time. Passivity, advisable in certain occasions, is a danger in this case. This is because it is coming from misinterpreted intuition. The High Priestess Tarot Card in a spread can point to unknown change in your life. Find the meanings for love, health, work and money upright and reversed.